Attrition is often seen as a health check for any business. If a high number of people are leaving then something is wrong. So, the question is why, and what can be done to reduce it? Here Steve Woosey of the The Forum shares his thoughts with us, before we take you through our own fifteen tips to further reduce and control attrition. Contact centres are no different from any other business, and with the negative images portrayed by the media, it is perhaps even more important that any issues around attrition management are dealt with. At The Forum, we believe that a contact centre can be a great place to work and our research into attrition shows some of the key areas for improvement. But what can you do differently? When we look at attrition and how to improve it we are asking “how can I keep my staff motivated?” If you refer to any motivational theory, personal development is always a high motivator. So, why would a contact centre be any different? Looking for ways to enhance the skills of your employees is good for the business, the customer and the employee. Many centres use multi-skilling as a way to be more efficient. Used correctly, this can also be seen as a development tool. Employees would be trained in new skills after certain periods of time and/or reaching a certain performance level. If communicated correctly, this gives employees a sense of achievement and creates variety in a job. This can be achieved without the need for financial reward, resulting in motivated staff, who will stay with the business longer as they move along the skill path, whilst meeting the business need for efficiency. Communication is key to any successful business! In contact centres there is a need for everyone to understand the goals of the business. 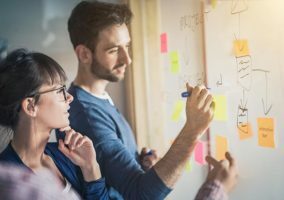 It is important that employees feel part of the plan and understand what the business is striving for and the part that they have to play in making it happen. Attrition rates are high in centres when employees feel disengaged, “nobody listens to me”. There have been a number of good communication examples where employee focus groups are used to make change happen, and employee champions are used to drive change forward and give the employees a voice. Targets need to be aligned and communicated effectively. Results need to be reported and discussed. Many centres now have web-based technology to display performance stats and working patterns. The use of intranet sites to display information can also be very effective. We must use all the communication media we have available, and remember that what may not seem important to a manager may be crucial to an agent. Many now view contact centre work as a career, and with the varying roles available, from the traditional path of Agent, Coach, Team Leader or a support role in HR, Resource Planning, or Finance, there are many opportunities. It is important, therefore, that at least some of these vacancies are filled with internal candidates. This gives employees the knowledge that if they work hard and do well they have a chance to progress. It can also be useful to give people opportunities to try out new roles; “try before you buy”, if you like. This can be done through secondments, day-in-the-life or development programmes. Many centres have development opportunities designed at finding the next team leader from the agent population; these schemes could be extended to include the many other support roles available in today’s contact centres. This area is closely linked to communication. Does an employee feel valued? Do they want to come to work? There is an old adage: “you don’t leave the business, you leave your manager”. How many times have you heard someone say “the job’s ok but the people are great”? This shows how important management style is to employees. The contact centre should be a great place to work, with an element of fun and hard work. The management approach will go a long way to achieving these goals. Work–life balance is not easy to achieve. Employees have to understand that the business must meet its customers’ demands, while the business must understand that employees have external pressures as well and do all it can to help them. The introduction of family-friendly legislation has forced many contact centres to look at how they schedule staff. Contact centres have then taken this more flexible approach and developed it for all employees, creating a number of lifestyle schedule options that give employees more choice, whilst still meeting the business needs. These schedule choices are often created by the employees through focus groups, always bearing in mind that the business needs must be met. 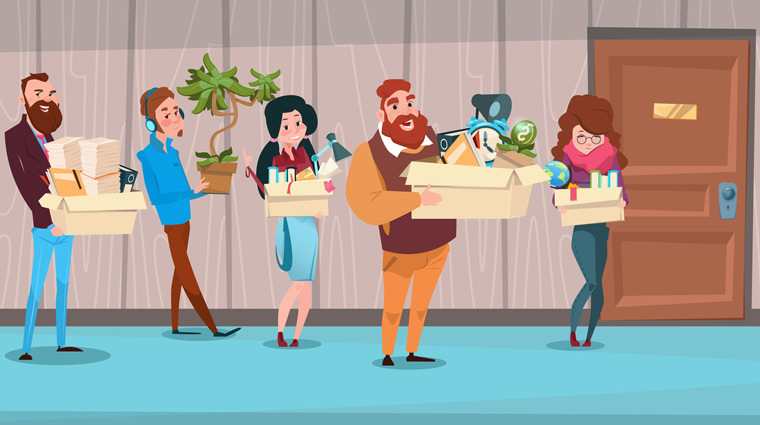 Every employee is different and it would be wrong to assume we know what everyone wants or needs, so providing options is a great way of finding a suitable solution for all. Steve Woosey, Director of The Forum. Many contact centres run exit interviews to gather information on why an advisor is leaving and to learn how they can stop future employees from leaving under the same circumstances. But why not conduct these interviews earlier, to stop a member of staff leaving in the first place? Conducting internal interviews, after an advisor’s first few weeks on the contact centre floor, will allow you to tackle their grievances before it is too late. Also, these interviews show that you support and care for each advisor, which can boost morale and job satisfaction. If someone left their last role as a contact centre advisor after six to nine months, the likelihood is that they will leave again, unless you have a good leadership programme in place. This is because advisors who leave after this time often do so because they realise that there was not much room for job progression in their previous role. So, keep an eye on these advisors and make sure that they are aware of possible routes of development within the contact centre. One of the greatest problems contact centres face is the rigidness of the schedule, which can often result in staff missing important external events and consequently lowers job satisfaction. Often contact centres are hesitant to allow shift swaps due to the negative impact it may have on workplace cohesion, contact between supervisors and advisors and service quality. However, this does not mean that it cannot be done successfully, and by giving it a go you could greatly enhance advisor morale and reduce attrition. Whilst training is often too short to teach everything that you wish, coaching resilience is important, so new advisors are not overwhelmed by dealing with angry customers, for example, when they begin full-time work. This could have a big impact on reducing attrition in the first three months of being in the role and resilience is an important quality for any advisor to have. As touched upon earlier, attrition often comes down to the lack of job progression opportunities. But, what about if you promote a highly skilled advisor who you are afraid you may lose to take on the role of a coach, working alongside the team leader. Whilst this will not be a big promotion in terms of pay, by offering them the opportunity to coach, they can help to promote quality service around the contact centre and the role would also offer a more palpable route of progression. If the advisor can visualise these routes, they will be more aware of the opportunities that surround them, which could be a factor in building motivation, as well as lowering turnover. Taking great advisors off the phone to move them into a team leader position could be a mistake. Just because they are good at taking calls does not necessarily mean that they are good at managing people. However, you also don’t want to keep them in the same position for too long, as they may get frustrated with the lack of progression and move on. So, you need to find the right balance. To try and strike this balance, develop leadership in the contact centre to find advisors who have the right leadership capabilities, such as organisation, influence and motivation, and ensure you don’t make the decision based on call handling alone. Also, if you are seen to be helping advisors progress their skills by developing their leadership, you can lower attrition as advisors will interpret your actions as preparing them for future opportunities. If you can create a good link between charity projects based in the community that most of your advisors call home and the contact centre, you can form a tangible connection for advisors between their working and domestic lives. Also, advisors are likely to recognise and appreciate the work you are doing in their community and, by maybe giving them a couple of days’ paid leave a year to work on these projects, you can build in positive experiences for your advisors. These positive experiences later turn into positive memories, which, when associated with the workplace, can help to lower attrition rates. In addition, don’t forget to make sure you recognise the achievements of your advisors, even if it’s just with a quick “thank-you”. Make sure you gather a crowd to reward an extravert advisor, whilst a private conversation would work for quieter employees. Benchmarking the skills of new advisors against their well-skilled counterparts may not only benefit the quality of calls but also provide guidance so individuals are less likely to feel stranded. This isolation can cause frustration that builds to give a negative impression of the job and is likely to boost attrition levels. So, instead of or alongside metric-based targets, benchmark advisors against their colleagues and suggest what to pick up from them in call quality monitoring sessions so they receive adequate levels of support. Recruiters in the contact centre field often prefer real-life experience over contact centre experience, as those with the former can be more skilled when creating an emotional connection and rapport with customers. – Tell me a time when you let someone down? – How did it make you feel? These two questions will give you an idea of how your advisors handle situations in which they have to show empathy and will provide you with a good gauge on how well suited they are to the role. This can help to lower contact centre churn, as it lowers the chance of recruiting unsuitable advisors who will not be as comfortable in the role. Whilst asking the “where do you want to be?” query might be overlooked as just a common interview question, such as: “Where do you want to be in five years’ time?”, it can help you to determine if the advisor’s future goals align with those of the company. If the recruit answers that they want to be somewhere that has little in common with your contact centre, then they can be considered to be at risk of moving on fairly early into their tenure. So, pay special attention to these advisors! Also, by asking the potential advisor how they want to feel, you can target rewards, incentives and so on to fit their preferences, which may boost job satisfaction and prolong their stay in the role. Making new recruits fully aware of the challenges of the role may increase “drop-outs” from training, but it will likely reduce short-term attrition levels, as they will know what to expect. So, as well as letting potential advisors listen in on calls, bring in current advisors from the contact centre floor to partake in Q+A sessions. But make sure that managers and any senior staff leave the room at this point, so advisors don’t shy away from voicing their honest feelings. In this piece, we have often discussed incentives such as rewards and shift swapping, but it is worth remembering that advisors have different priorities that generally change depending on how long they have held the position. So, when you plan incentives to lower attrition levels, bear these priorities in mind so that you can gain the most out of the rewards you present. As stated above, the main priority for advisors who have been in their role for over six months is to receive a competitive salary. You may think a competitive salary involves just comparing with other contact centres, but the reality is that advisors can now easily transition into other fields with similar skills required. Often, advisors change professions and move into a sales-related field, or the communication profession, and so on, so the salaries that you offer may also need to be compared to these kinds of jobs. So, focus on the salaries of jobs which require similar skills to the advisor role and are in the same region as your contact centre to determine if the rates of pay that you offer are competitive. Advisors with high rates of absence are in danger of leaving, so take this as a warning sign and talk to these individuals. You can then build this into an Attrition Action Plan. Not only will this help you to find out if your contact centre environment is up to scratch, it will also act as a protection blanket for you to support advisors before it is too late. Do you have any more tips to reduce advisor turnover in the contact centre? If so, please share them, and any other thoughts you may have, in an email to Call Centre Helper. Originally published on 14th May 2008. Recently updated. Good thoughts. I also think that companies need to spend more time upfront in the recruitment process ensuring the tests are done to help get the right calibre of staff who will enjoy working in a contact centre. Employees need to feel a peronal value to the business. When this is not established and consistent the business loses them. Again on the personal value – remember to compliment and encourage the target acheivers in a poor team as always addressing the teams downside de-motivates and causes unrest leading to attrition. Re: comment from spoilt child It would be interesting to know what role you have in a call centre. My bet is Business Manager. Tendancies to pass the buck for attrition are the reason attrition does not get addressed and improved. Ownership is an asset. Agreed, In implementing a QMS in a call centre – Attrition is everyone’s challenge. I would think you need to develop a Career Development programme within the constraints of the call centre industry. Fantastic article and very relevant for contact centres such RBS Insurance where turnover in some sites was knocking on the door of 50%. What this article doesn’t mention is the need for churn. I recently worked for Hoseasons Holidays in Lowestoft running their 100 seat call centre. All of their call centre team had a minimum of one year’s service with most in excess of five and some in excess of 20 years. The only leavers were those that had hit their retirement age; no one was leaving to pursue a high powered career in Norwich or London or similar. The point I’m getting at is that after a period of time, people become stagnant and will do the bare minimum to get by; they can avoid action plans and will remain in employment by the skin of their teeth. Many of you will say that you would look at incentives, forums, meetings, training programmes and so on but if the rot has set in, with the employment laws that are in place today, it is difficult to do anything quickly. Over a lengthy period it would be no problem, but what businesses do you know that have a long time to change a culture and make money? Churn enables new people to come through the doors and gives the talent spotters the opportunity to grow people into different roles, including management. I find new people spur those on that are still with you and increases the competitiveness, enhances efficiencies and ultimately improves profitability. So whilst reducing attrition is good, please don’t eradicate it. i read the notes on the five ways to improve attrition. i believe they are very true and practical. more power to your elbow, but i’ll be very glad if you will send me regularly some practical tips on effective management of a business. good day. I aggred that main problem of attrition is pay or not good working automesphere so first of all we should understand what is the real reason of attrition and why people want to leave organization, according to me i am also working in call center and having 4 year experience in this industry such we do not have a time to spend with our family and friends so we should be do creative things in and keep smile on the face of employes and when they will happy when they have to time to spent a time with friends and family so dont everytime think about the profit of company some times think about the employe they are assets for company and without employs company doest do anything so make a proper shift then they can spent a time with family or friends . Hmm, very interesting. What was interesting for me that I am a new CC manager of my company and without even reading this points I start to work intensively with skills development, communication and on management style. In our company we pay a lot of attention in the fact that the agents should work 8 hours per day, and not more because callcenter work is really very hard and stressfull and me personally do my best to keep the employee happy so that he can pass this to our clients, but beleive me depending on human type, sometimes it happened that I met such agents who wee blaing me that they are doing this job, but at the same time do not do anything for future career promotions. please advice me how to be with such agents? Topic : Top 5 ways to improve attrition in your contact centre? Should have been to reduce attrition….. Agents in most callcenters are generally treated as doormats. I feel a good working environment, career enhancement training, management style and communication will bring in a more positive perspective towards management. This will definitely help to retain employees. Even if there is a much better package outside the employee will stick to the company due to career prospects and management communication. Employees those who are happy with their work & the management will themselves work towards the work-life balance. Mr Steve Woosey has made an indept analysis of the work style of the call centers and these indeed are the 5 best ways to reduce attrition. This article has been very helpful to me. Thank you. There seems to be an inherent belief within Contact Centres, and I speak sweepingly, that anybody joining a Contact Centre is doing so for life and therefore when we then suffer attrition we are surprised, bemused and confused. We then look to create plans and activities to enhance retention, develop employee engagement and make the internal customer journey a greater one with the vain hope that as a result all members of staff will stay with us longer. I don’t remember at the age of 14 choosing my studies because I wanted to work in a Contact Centre. I, like the majority, fell into the industry by accident, starting out as an agent because I needed money between jobs within my chosen profession at the time. Perhaps we should take a reality check and look closely at the profiles of those who do join a Contact Centre, and look to create actions that suit the varying Contact Centre employees and what they want to get out of the experience. There are the ‘Travellers’ – joining a Contact Centre for a variety of reasons; travelling the world, between jobs, returning to work, just graduating, needing part-time work,getting back into the work ethic, awaiting an upturn in their chosen industry. These are not likely to stay long – so perhaps we could accept this and focus on getting them to stay 9 months instead of 3 – a huge increase. There are those who want to work in a Contact Centre, who love the telephone interaction and these are gems. Again we throw progression planning at them when many simply want to stay on the phone – so surely we need to develop them in role, searching out enhanced interaction training, improved vocal training, greater inter-personal skills training, use of NLP and so on – to get this group to want to stay in role, and longer. Then there are the ‘Opportunists’, who either have come from the previous 2 pools mentioned above or know a little bit about Contact Centres and see an opportunity for progression. These are our future talent, cross-roles and cross-levels, and should be identified from their very start and progressed and developed. Understanding our people to understand how to retain them and acting upon it, is more likely to have an effect upon retention. Factoring this into annual stats and reporting too will affect a better understanding of attrition and give a truer picture of why and what to do. Be honest – not everyone joined a Contact Centre for life. I too agree…the article has been very helpful! Agreed with above given article but we need to know what to do with such officers who joined the organization for just one or two months. well It’s a very fruitful learning. I came to know about diffrenet things. Specially i liked the area of ” Management Style” is very effective for org. its reaaly a great way to reduce the attrition,we can learn lots of things by using these ways. Many right people struck in wrong organization. Many wrong people stay nicely in right organization. This is all lack of understanding from Management side. We can’t stop people moving if there is no “job satisfaction”, “attention” and “Money”. What if you have low attrition is that ‘good attrition’ or could it be perhaps as a result of poor performing employees who are not being managed effectively, they stay in their comfort zone and don’t move on. This could be regarded as bad as you do need natural wastage. ‘Bad’ attrition can be for a number of reasons as commented previously. You need to look at your total rewards package, recruitment, induction, ongoing training and exit procedures. One key tool that many organizations overlook to retain customers, especially those who cite lower cost as a reason to leave you, is the customer cost saving program. You find real cost savings, provide a solution, then document it in a report that both you and the customer sign. When a “lower price” objection comes up, you show them your customer savings report where you have already saved them money or time.